Lucasfilm president Kathleen Kennedy—or, rather, a loose translation of something she said—set off a minor internet emergency earlier this morning, when an interview she did with Premiere France was translated thusly: “We think that the next spin-off will be dedicated to Lando Calrissian. Of course, there are still many stories to tell about Han and Chewbacca, but Lando will be next.” Pretty strong words, given that Lucasfilm is generally so secretive that Emilia Clarke gripped her chair in fear when asked about Solo: A Star Wars Story spoilers at Cannes. 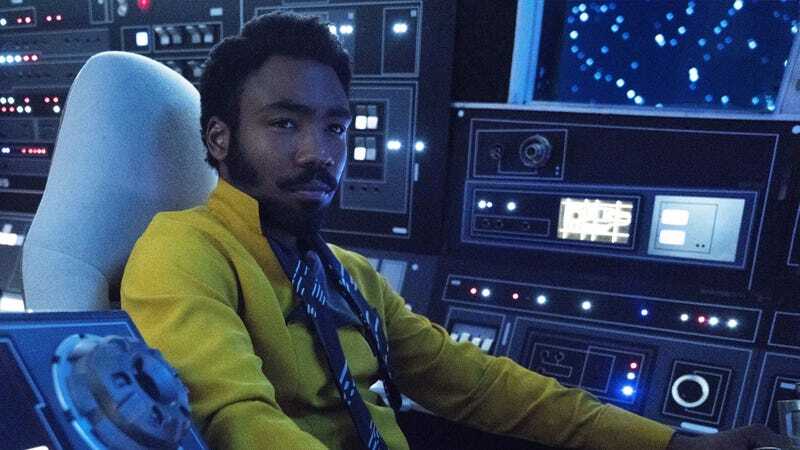 But although Kennedy is keeping characteristically coy, a spin-off does seem likely: Donald Glover’s Lando was declared the scene-stealing star of Solo: A Star Wars Story from the moment his cape-clad silhouette appeared in the film’s trailer. (They’re good capes, too, we hear.) Our main question while we wait for the news to be confirmed is what kind of movie this Lando spin-off would be: A Luke Cage-style blaxploitation throwback seems a bit pat for the character, although if anyone has the swagger to pull that off, it’s Glover.